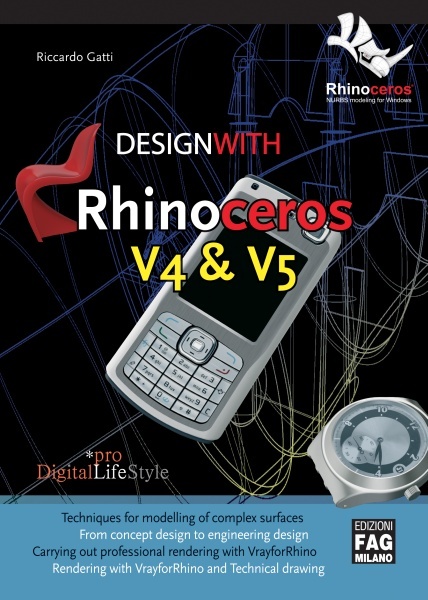 A new book "Design with Rhinoceros V4 & V5" is now available as e-Book. 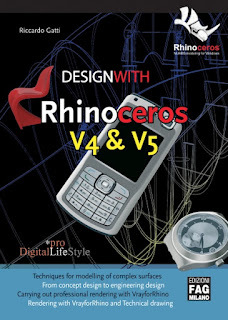 "This book is addressed to those, who are already experienced in the three-dimensional modeling and the Rhinoceros interface and are willing to refine their skills in using it. The tools available in the software are illustrated by practical examples to be followed step by step. Topics covered: Complete modelling of objects, Modelling of complex surfaces with curvature continuity, Modelling for deformation of solids, Rendering with V-Ray for Rhino and Technical drawing, Data exchange and repairing of imported IGES files and more!" Just tried the Amazon link, it's not working. Any other places where you can buy the book? only available on Amazon UK, not Amazon US. Would love to know when will be available US.